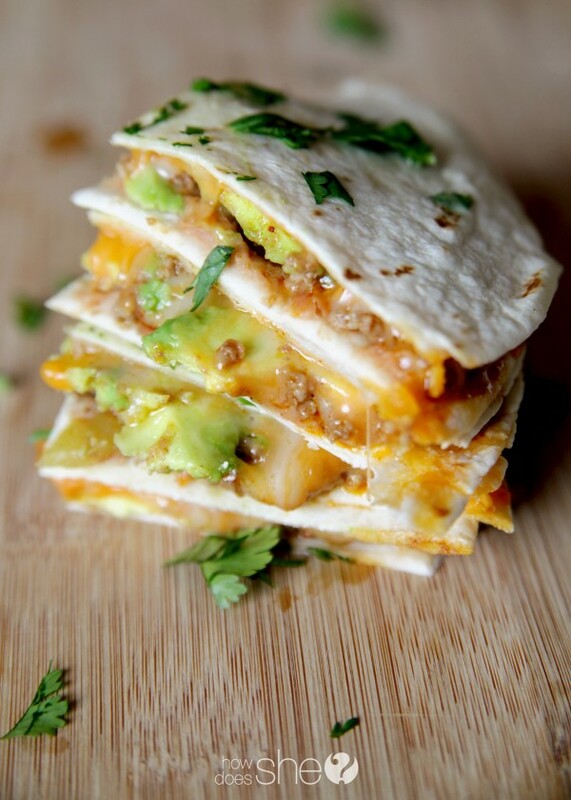 Cheesy Beef Quesadillas with Avocado – Elevate Your Ground Beef! I love me some quesadillas – I mean, who doesn’t? But buying chicken to make those delicious creations can break the bank these days. It seems like we always have ground beef in the freezer, but I get into these ground beef recipe ruts. Do you know what I mean? I’m always looking for new ways to prepare this less expensive meat option in a more elevated (i.e. exciting) way. When I saw that someone had made quesadillas using ground beef, I just HAD to give it a try! Verdict? LOVE! 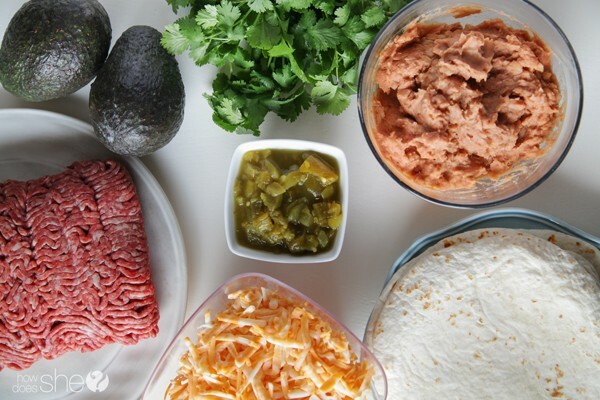 This is a go-to alternative to Tacos, and they are just as easy. Seriously. 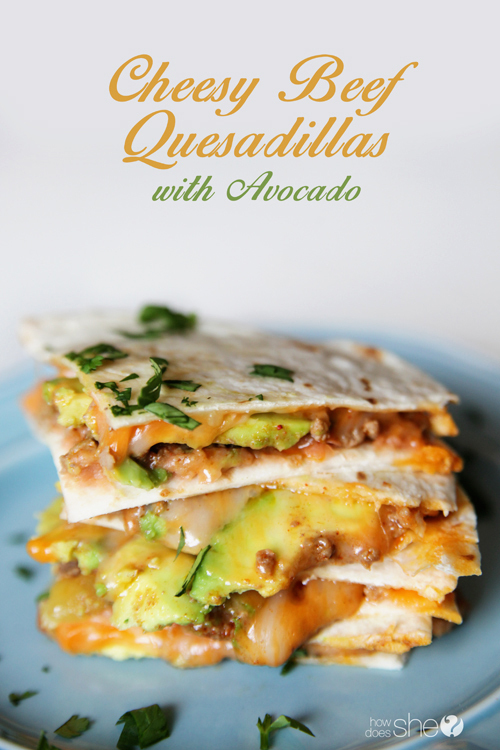 Ladies (and maybe some gentlemen) I present to you, Cheesy Beef Quesadillas with Avocado! Preheat oven to 400 degrees F. Line a baking sheet with parchment paper. You can also pan fry these, if you aren’t make a bajillion like I have to make in my family. For me – baking is easier. Heat olive oil in a medium skillet over medium high heat. Add ground beef and cook until browned, about 3-5 minutes, making sure to crumble the beef as it cooks. I find adding a little water (a couple of table spoons) while browning ground beef helps to draw out more of the fat. Drain excess fat and stir in taco seasoning. Add in the can of green chilies. This is the magic touch, my friends. 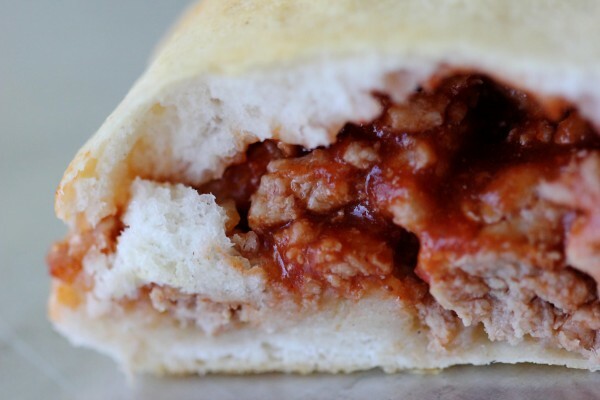 These add such a delicious flavor to the filling. 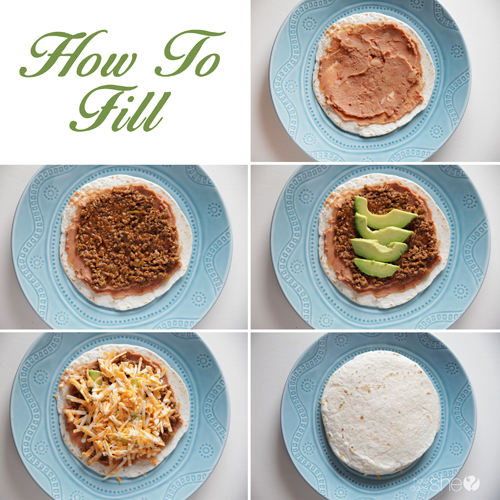 Take one tortilla and layer with refried beans, ground beef mixture, avocado and cheddar cheese. Top with another tortilla. Repeat with remaining tortillas to make 4 quesadillas. 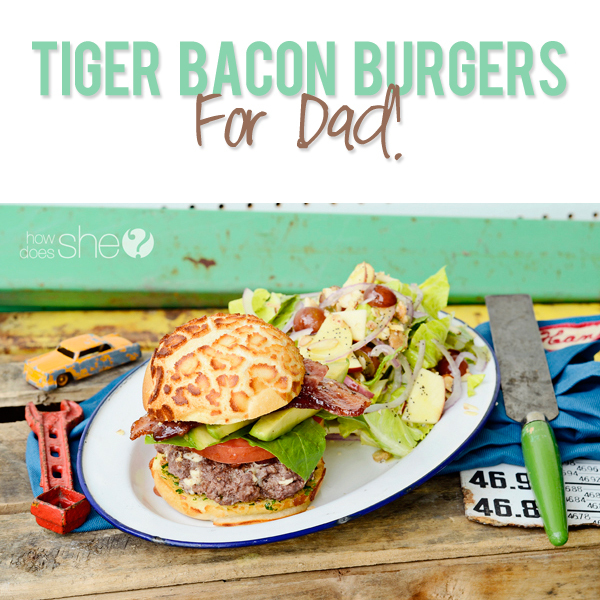 Like I said – I usually would double (or triple) this recipe to feed my bigger family. Place quesadillas onto the prepared baking sheet and place into oven and bake until the cheese has melted, about 8-10 minutes. Or you can pan fry over medium heat, 2-3 minutes per side. Really you are just trying to melt the cheese and make it all oeey and gooey inside. Mmmmmm. Preheat oven to 400 degrees F. Line a baking sheet with parchment paper. You can also pan fry these, if you aren't make a bajillion like I have to make in my family. For me - baking is easier. Top with another tortilla. 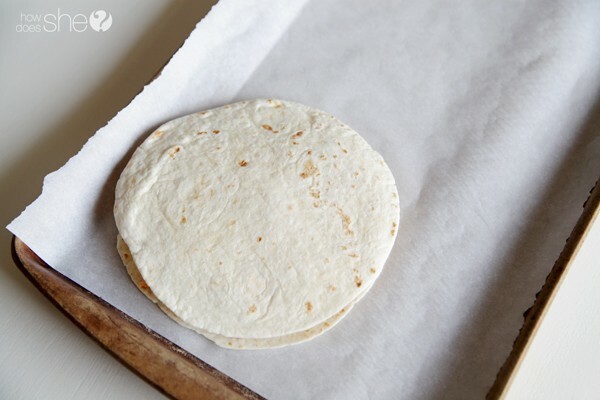 Repeat with remaining tortillas to make 4 quesadillas. Like I said - I usually would double (or triple) this recipe to feed my bigger family. 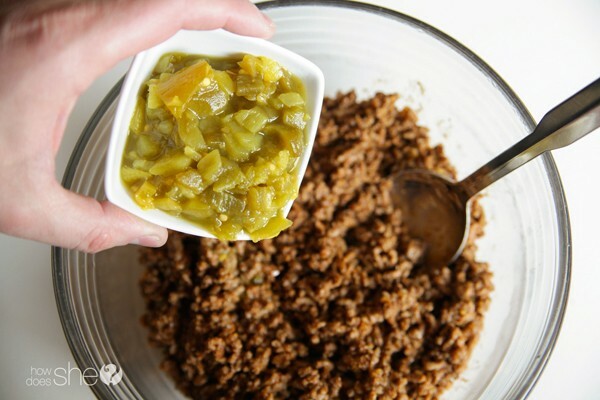 Tidy Joes – A yummy twist on sloppy joes! « Six New Christmas Eve Traditions For A Magical Holiday!